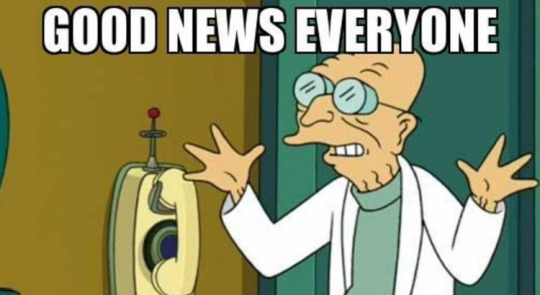 Like Professor Farnsworth says, I have good news. One of my short stories has been picked up for publication. It will be broken up into two parts; the first part will run on June 12. It’s my time travel story. And it happens to be one of the stories I’d like to include in my short story collection. I’m also cruising on this new novel. It’s also, surprise, sci-fi. It’s pretty rad. More later. I desperately need get back into the swing of things here. I have no idea what this is. *updated 8 Sept. I have been watching this elephant for some time. It had crawled out from under the desk in the corner about two hours ago. It felt around the hardwood with its delicate trunk; I felt around the couch for the bottle. I am feeling sorry for myself, again. This morning you walked out, again. I scowl as I remember the way you had insulted my play-in-progress. You said a drunk, unemployed idiot like me would never get to Broadway. It briefly looks at me. The thing is actually squinting; its tiny eyes are trying to read the giant mountain of me. I remain still. Finally, the elephant turns back to hopscotching my desk calendar. I sip whiskey and stare. You hate whiskey. Suddenly, you hate whiskey. You used to drink Manhattans, but your new friend Erich said whiskey is a “dirty cowboy drink.” Now you drink Merlot. You hate it and we both know it. It reaches the edge of the manufactured wood and gazes at the depth below. Finally, suddenly, it jumps into certain oblivion. I lunge, but my reaction is unwarranted. The tiny pachyderm floats, limbs out, to the edge of my twill couch. My eyes grow wide. It lands deftly and pokes the pillow with its left foot. Satisfied at the plush, it bounds across the pillow, onto the cushion, and—much to my horror—onto my left leg. It stops, rotates and sits, dog-style, on my denim. We hold each other’s gaze for what must be several minutes. For some reason, I think of you as I stare into the beady little eyes arms-length from me. The problem is, I think you stopped loving me a long time ago. The problem is, I stopped loving you a long time before that. Neither of us will admit it. We’ve both been in too many failed relationships; come from broken homes. It can’t happen to us. We are supposed to be different. I understand that you and I are cowards. I want out; I know you want out. But we don’t want to be the one to say it. My gaze falls to the sluggishly moving ceiling fan blades. Funny how fast we can change. The elephant flops its trunk to the side and opens its tiny mouth. A bubble grows form the back of its pink throat—and keeps growing. I don’t know what I should do. I watch the bubble grow as large as my head. My tiny friend snaps its mouth shut; the transparent orb floats in the air. My face is reflected in iridescent rainbows. I glance at my companion. The elephant does not move; does not look away from its bubble. Suddenly, another face—your face—appears on the bubble. I slowly move to touch it. POP. In a rush the sphere and the elephant explode into a thousand, tiny bubbles. I blinks surprise. They rise to the ceiling, then they, too, explode. I am splattered with colorful water. It smells like a box of 64 crayons. I wipe the color spectrum from my face and pull whiskey to my lips. I wish you still drank Manhattans. He sits, day in and day out, on the edge of the marble fountain in center square, and watches. He calculates the movement of every passersby; he has learned to read the movements of his fellow man. He waits, sometimes for hours, until he spies the perfect specimen. Sometimes they are young; sometimes they are old. Once, it was a 40-year-old woman who had broken the heel of her shoe. She carried the sandal in her hand and a look of despair on her face. She seemed uncomfortable in her tight skirt and low-cut blouse. It was dark blue and scattered with small, yellow flowers. By Max’s standards, she wore far too much makeup. She was trying much too hard to be something she was not. He captured her to remind himself that humans are a desperate creature. One Tuesday, Max was in awe of a young man with dark black hair. He waltzed from his executive high-rise with an earpiece in his ear, and greed and sophistication in his eyes. He stepped over a homeless man by a garbage can; pushed pigeons from his path with shiny leather shoes. Max captured him to remember that human beings are cruel. Today, it is an older woman with graying hair and graying eyes that catches Max’s attention. She walks with a cane and hunches as she makes her way to the bench. She smiles as her long journey ends, and pulls out bread for the birds. Max moves close by. He likes the way she smiles. He looks to make sure no one is watching and lifts his hand. He presses the shutter and is pleased with the image. She reminds him that humans are not that bad. Max scrolls through his pictures and disappears into the crowd. He will collect again tomorrow. One of my short stories, “Jimmy the Spaceman” was published in Zouch. Check it out!